House Bill 38 establishes in-person early voting in Delaware beginning January 1, 2022. Why 2022? We can’t set up a voting machine at a county office by October 2020? Anyway, registered voters will be allowed to vote in-person during a least 10 day period before the election, up to and including the Saturday and Sunday immediately before the election at locations determined by the State Election Commissioner. This Act also charges the State Election Commissioner with determining whether such voting should occur by voting machine or paper ballot. All other procedures relating to conducting voting are the same as for general election voting. Further, this Act requires that for statewide elections there must be at least 1 in-person polling place in each county, and an additional location in the City of Wilmington. The vote on this bill requires a two-thirds majority because it would change Wilmington’s charter. Two thirds of 41 is 27.3, so we will need 28 votes to pass it in the House, and we have 26 Democrats in the House. So assuming we don’t lose some old fart who is anti-change and modern voting and get all 26 Democrats, we will need the vote of two Republicans in the House. It looks like we have the support of Ruth Briggs King, who is a sponsor of the bill. So assuming she votes yes, we need just one more. In the Senate, two thirds of 21 is 14. We have 12 Democrats in the Senate, so we will 2 Republican Senators in the Senate to vote yes. According to the National Conference of State Legislatures, 38 states have early voting. “We should be doing everything in our power to make it easier for working Delawareans across the state to vote in our elections, because when everyone participates, we all stand to do better,” Rep. David Bentz (D) said in a statement. You are theoretically voting for a different candidate than those who wait until election day. A lot can happen in the closing days of an election. Remember Eric Bodenweiser? Also it takes more resources and is difficult to monitor election integrity over a longer period of time. In the end I guess it doesn’t even really matter if you are dead set on voting down party line anyway. “Election Day” is a relative late feature in our flawed republic. Before modern transportation it often lasted weeks. Unlike the bill to move the primary, this one helps the public by making it more convenient to vote. As to your objection, nobody will be forced to vote before election day. So called early voting, which is really “extended voting” is great and needed. 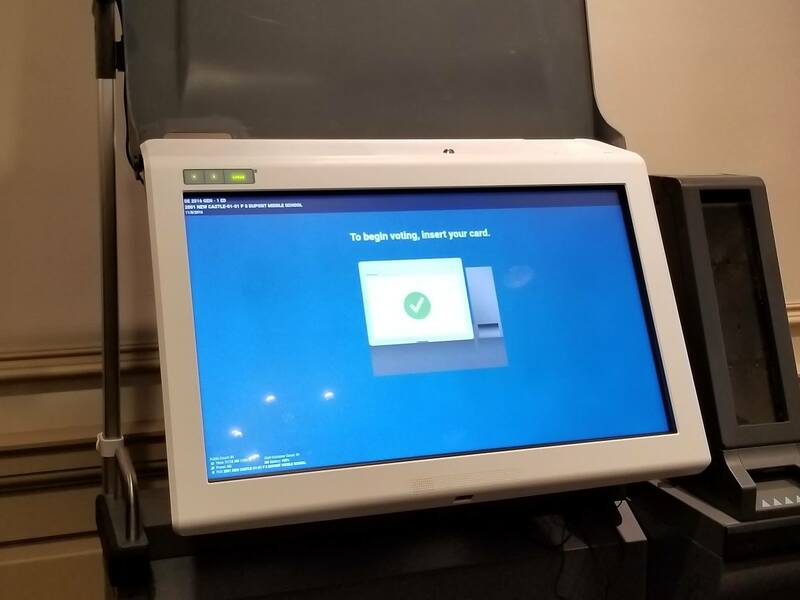 But I find it ironic that the lege is paying so much attention to good ideas about enhancing voting rights while not simultaneously paying attention to voting security via our shiny new, hackable/tamperable computers sold to us by a company that makes it a practice to lie to Congress about their security systems and get caught at it.